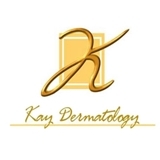 Kay Dermatology (Burbank) - Book Appointment Online! Although Dr. Kay practices the most advanced Dermatologic Cosmetic Surgery techniques, with more than 23 years experience, he still treats all his patients as if they were family. His patient's health and well being are his primary concerns. No one knows better how to help someone with their skin problems as well as improve a person's skin and overall appearance. Dr. Bak is great, very helpful, very polite, knows her stuff, answered all of my questions, and is a very nice person! He’s very thorough and professional. I’ve had him as my dermatologist for over 15 years for skin cancer prevention and treatment.